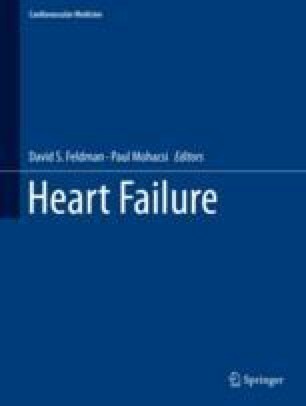 Different medication has proven efficacy to reduce both morbidity and mortality in patients with heart failure. However, this is only true in patients with reduced left-ventricular ejection fraction (LVEF). Inhibition of the renin-angiotensin-aldosteron system (RAAS) is one of the key treatment strategies in these patients. ACE-inhibition has been introduced first and is the standard to start medication reducing events in heart failure with reduced LVEF (HFrEF). If not tolerated, angiotensinreceptor blockade (ARB) is a good alternative. High doses in chronic treatment should be achieved. As aldosterone may increase after initial reduction when starting ACE-inhibitors, additional mineralocorticoid receptor anatonism (MRA) has been introduced and successfully studied. Thus, the combination of either ACE-inhibition or ARB and MRA is recommended in basically all patients with HFrEF, unless not tolerated. Recently, the addition of neprilysin-inhibition (sacubitril) to ARB (valsartan) has been studied in still symptomatic HFrEF patients. The effect on prognosis was basically twice that of ACE-inhibition. When using RAAS inhibitors, caution is required regarding renal function, hyperkalemia and hypotension; all of which need to be monitored. Angioedema is a potentially lethal side effect and a contraindication for ACE-inhibition, ARB and sacubitril/valsartan. Diuretics are used in the lowest possible dose to completely decongest heart failure patients. This applies to all patients, irrespective of LVEF. Digoxin in only used in patients that remain symptomatic despite the use of all other drugs.